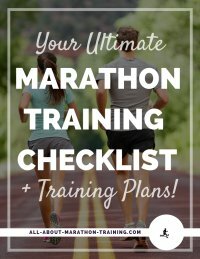 For those looking for a beginner marathon training schedule it is a good idea to train for a longer period of time than the normal 16 week programs. 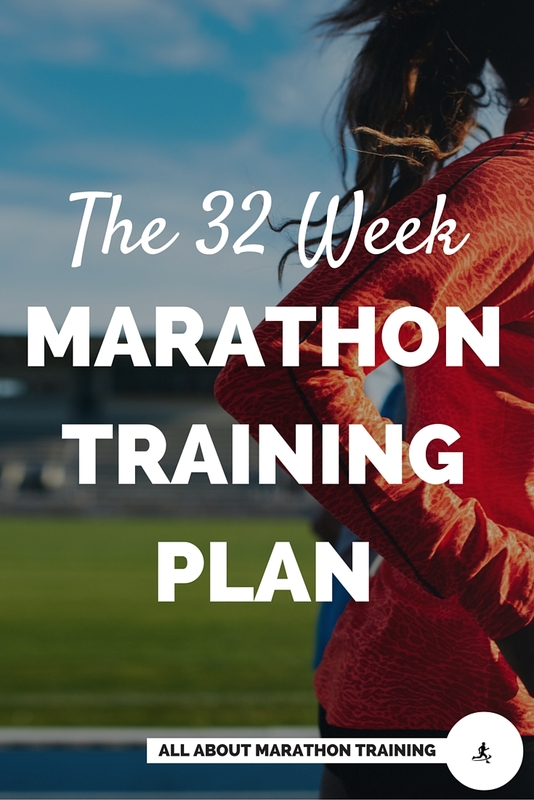 This 32 week schedule will help to get you on your way to running a fantastic first marathon. 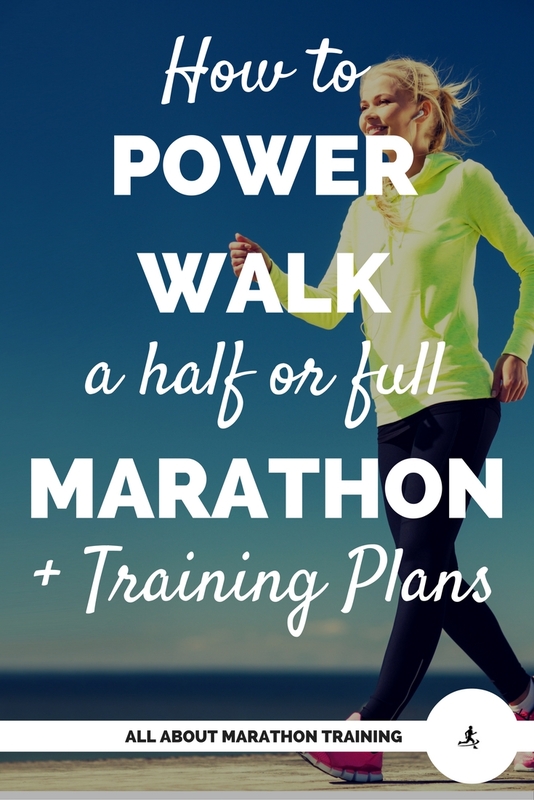 I know, it's long but it is also the most ideal marathon training program. Why? those who realize that the marathon is a huge challenge and therefore want to take their time with this mammoth journey. The most important thing to keep in mind as a first time marathoner for the 32 week marathon training program is that you are not racing to meet a certain time. This program will just ease you into beginner marathon training and set you up for future marathons wherein which you can have a time goal. Why 32 Weeks of Training? The easiest thing to do during a marathon training program is to get yourself injured but taking it slow and prudently the first time will get you strongly across the finish line. This is why stretching out your marathon training and doubling it to 32 weeks is perfect for preventing injury and allowing yourself to set a sturdy foundation for your marathon race. 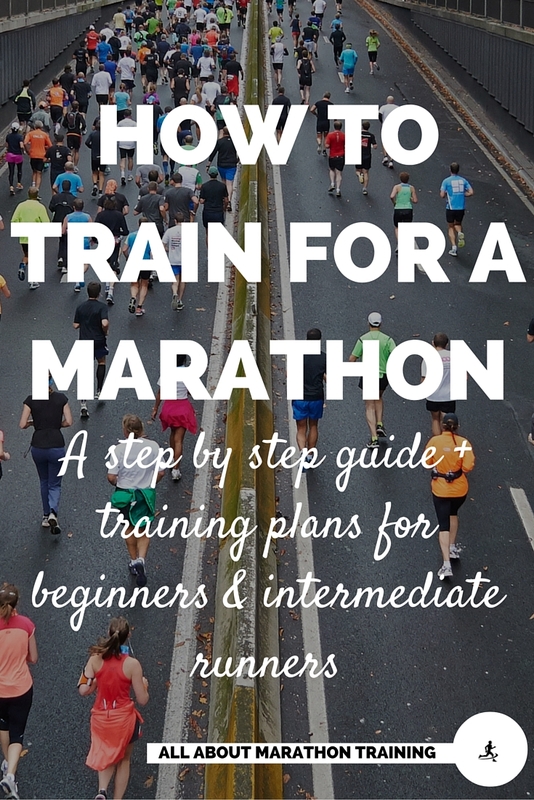 This 32 week beginner marathon training schedule is designed to help those who are running their first marathon and who have been running regularly for at least 3-6 months. It is never a good idea to jump into marathon running and training if you haven’t been a regular runner for awhile. Your body needs to adapt and strengthen itself towards the high intensity of running before it can take on the marathon. Try and run consistently for about 6 months before starting a program even a beginner marathon training program. 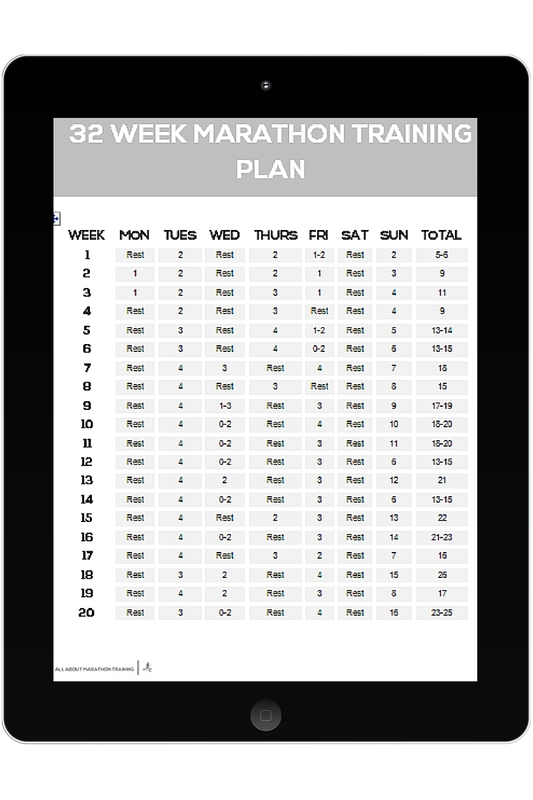 What does this 32 week marathon training schedule consist of? As you can see this training program has a very gradual build up of long run miles. This allows your body to keep up with the training program. Your long runs will be increased each week by one mile until you hit a long run of 11 miles in Week 11. From then on, you will have one easy week, where you will have a "shorter" long run, followed by a week where the long run is progressed by another mile. Your longest long run will be a total of 22-23 miles which will set you up for the 26.2 miles of the marathon in 2 weeks. However, if you don't feel comfortable going over the 20 mile mark, you can just do 20 milers for any scheduled run over 20 miles. Three rest days have also been scheduled every week. Take these seriously and just rest. The theme of this race plan is to be easy on your body and if you follow the guidelines you won't end up tearing yourself up during the marathon and will have a very pleasant experience. WHERE SHOULD I SEND YOUR FREE 32 WEEK MARATHON TRAINING DOWNLOAD? Thank you! Your training plan is running towards your inbox! Send me my training plan! Note: All distances listed are in miles. 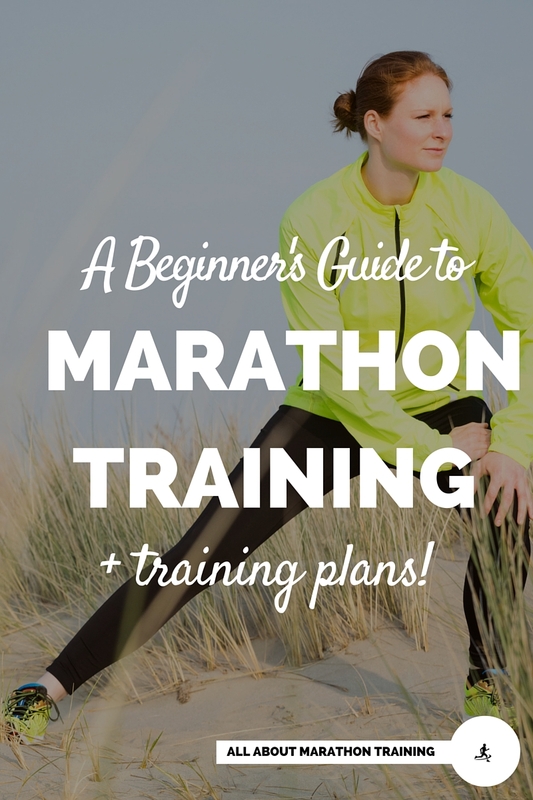 Step by step guide to marathon training! 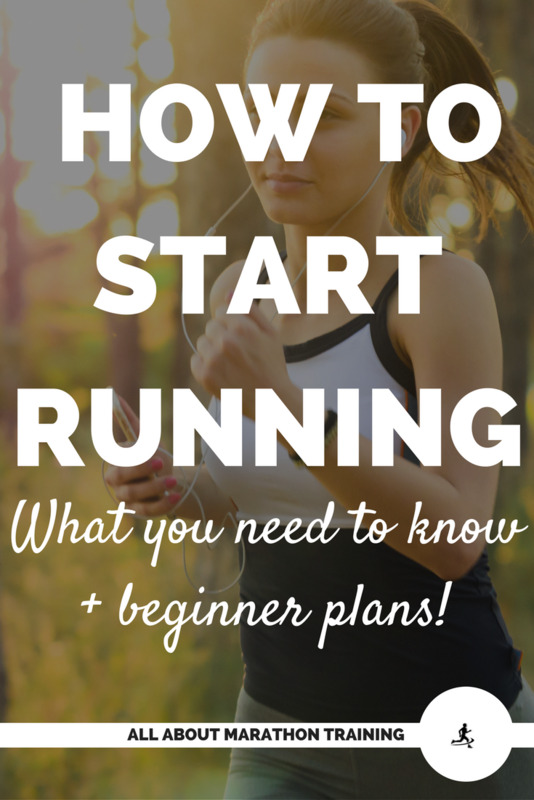 What you need to know as you become a runner!